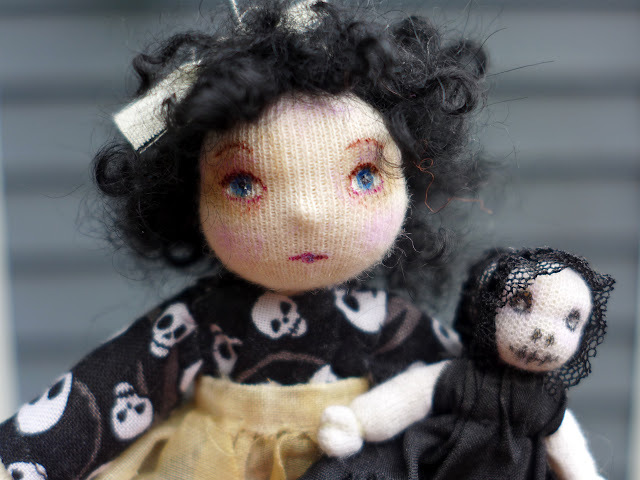 A few weeks ago I decided I wanted to make some little ghost girls in a dollhouse size... the process quickly took on a life of it's own...as they do...and the first of my Ghastly Girls was born. Please meet Charlotte. 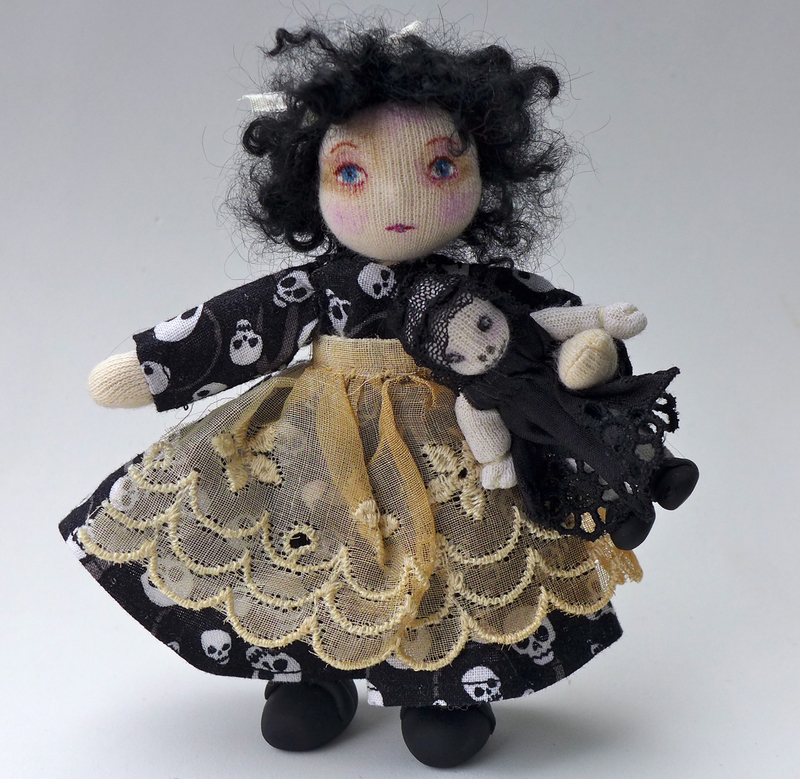 I'm having such fun making these darker dolls..hmm, what does that say about my psyche? I have been in a bit of a dark place this summer. We've been trying to sell our house and everything has been in a horrible state of limbo for ages...plus it's summer. Yuck. So maybe these little girls are my expression of all that...or maybe they're just fun! Whatever they may be Charlotte is in the shop now and there will be more Ghastly Girls coming...along with witches, big and small, and some Fall and Halloween fairies...because Autumn can't get here soon enough!